An endearing twist on learning your ABCs! A fun family read with playful, rhyming text, ABC Love pairs each letter of the alphabet with a word that teaches young kids about important concepts like love, acceptance, and affection. 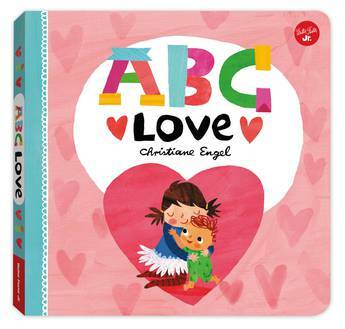 Christiane Engel is an award-winning illustrator and author. Her work can be found in a huge variety of kids' books all over the world, including a kids' bible and a children's atlas as well as Walter Foster Jr.'s ABC Love and ABC Yoga. Her instantly recognizable children's characters appeared in an award-winning ad campaign in the UK and she works with the Surrey County Council to create advertising and educational material for families. She has also created illustrations for animated programs for clients including the BBC. Christiane lives by the sea in southeast England with her little family.